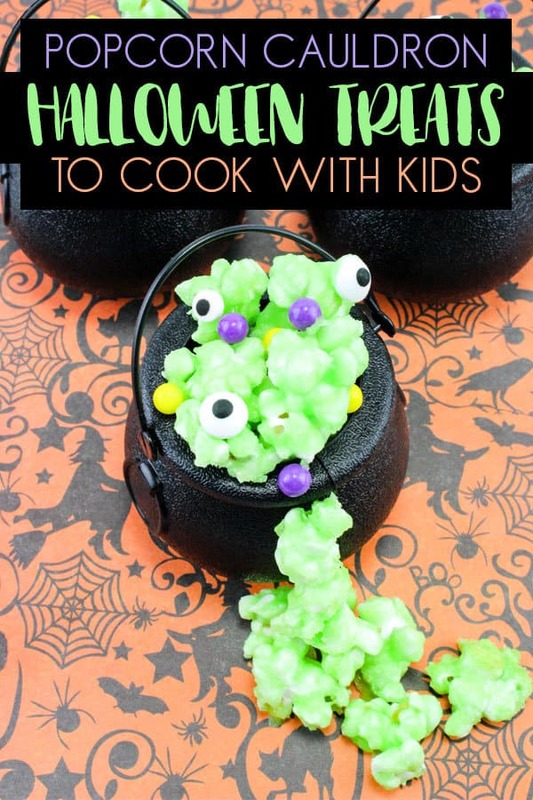 This easy Halloween Recipe for Kids and you to make. It is just perfect for Halloween! 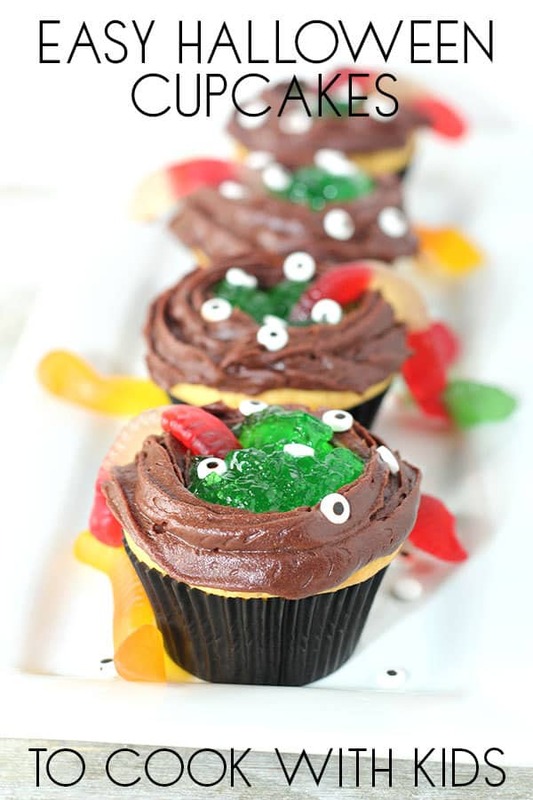 Whether you use them as a Halloween Party Dessert or as treats for the Trick or Treaters these are simple to make and the kids can get involved. 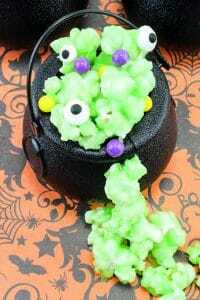 So here we go our Ghastly Popcorn Cauldron Treats for Halloween Recipe. Watch our simple video on How to Make these Treats and then scroll down to get you easy recipe card to make them yourselves. 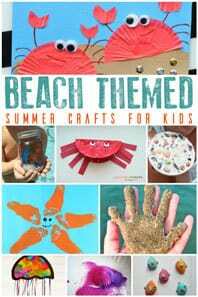 I love making our own popcorn as do the kids. We buy the kernels ready to make and then use butter to pop them in a pan. 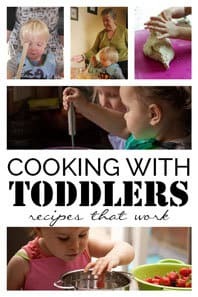 They will make them ahead of a family movie night and it’s the only food we allow to be eaten in front of the TV in our house. For this recipe, you will need 8 cups of popped popcorn. If you are making from scratch that’s approximately 4 tablespoons of kernels. 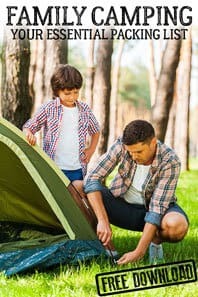 You could always make a little more and snack on the rest. 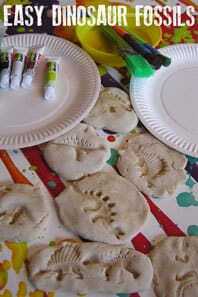 We have included links to the products we used to create this recipe if you buy via the links we may earn a small commission. 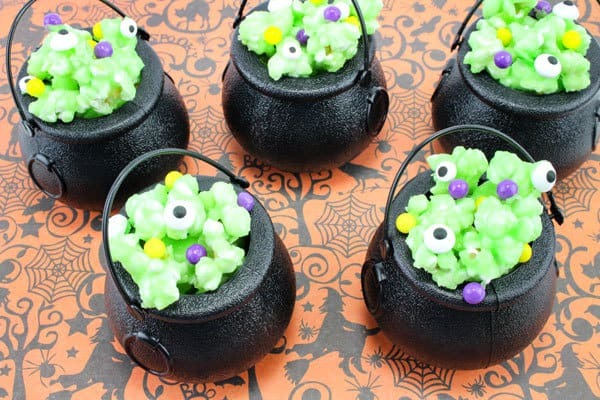 In my Halloween Party Supplies, I have a set of mini cauldrons. 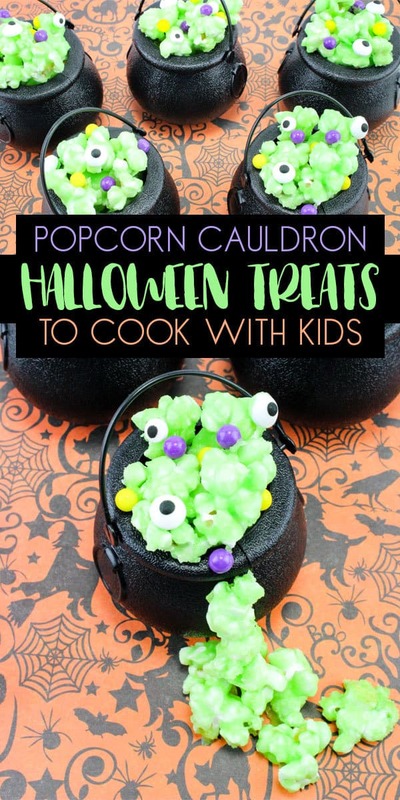 They are perfect for adding treats to and this Potion Popcorn recipe is ideal to be served in them. 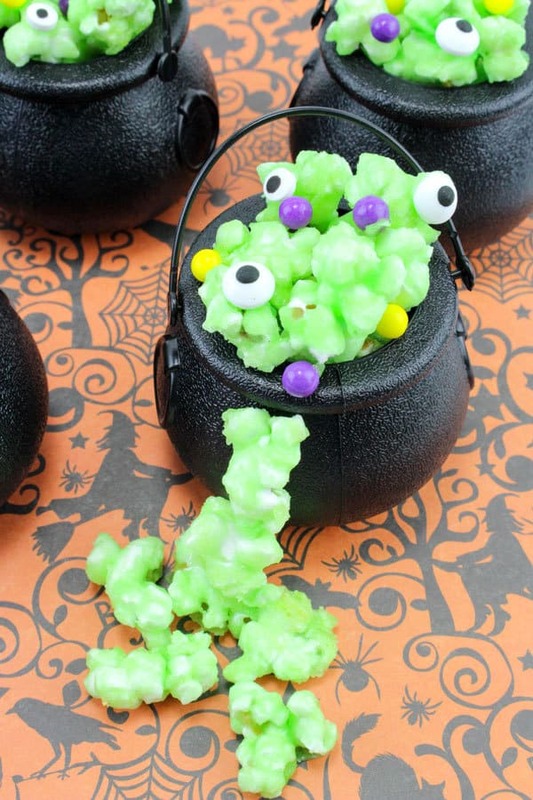 Easy to make Halloween Treat Recipe for Kids to prepare to make potion popcorn in a cauldron. 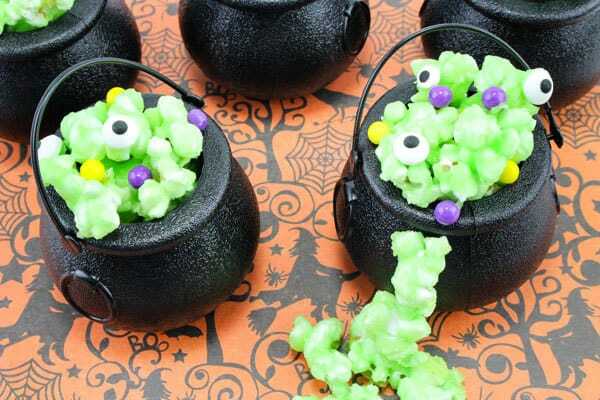 Ghastly and spooky these witches bubbly cauldrons make a great party favour or for the dessert table. 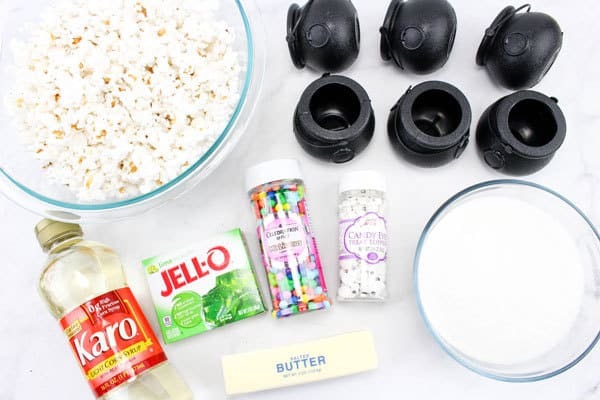 In a Pan Pop the popcorn in a knob of butter. Grease and line a baking tray with silicone coated parchment or greaseproof paper. In a pan, place the sugar, corn syrup, butter, lime jelly and mix well. Stirring constantly, cook on medium to high heat until it starts to boil. Stir and cook for an additional minute then remove from the heat. Pour the mixture over the popcorn and stir with a spoon until it has coated all of the popcorn. 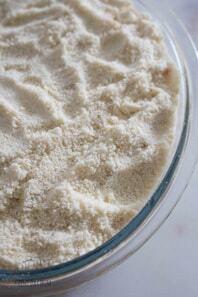 Spread popcorn mixture evenly on to the lined baking tin. The mixture will still be a little gooey when you get it out, but it’ll start to harden as it cools. Once completely cooled, break the pieces apart and place into the cauldrons. 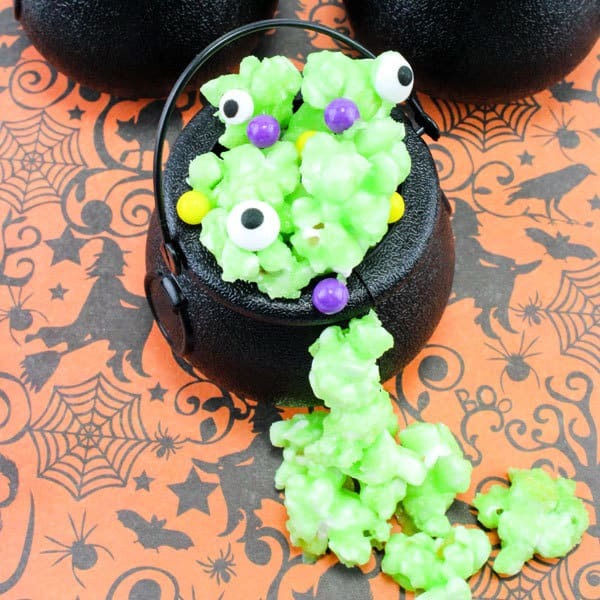 Add some spooky candy eyeballs and balls to create the effect of a bubbling witches cauldron. 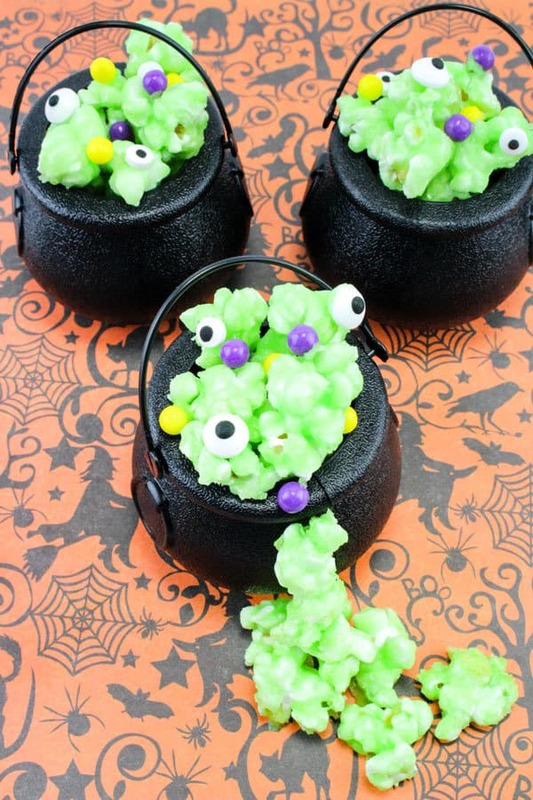 Make dinner fun with this SPOOKY spaghetti and eyeballs meal. 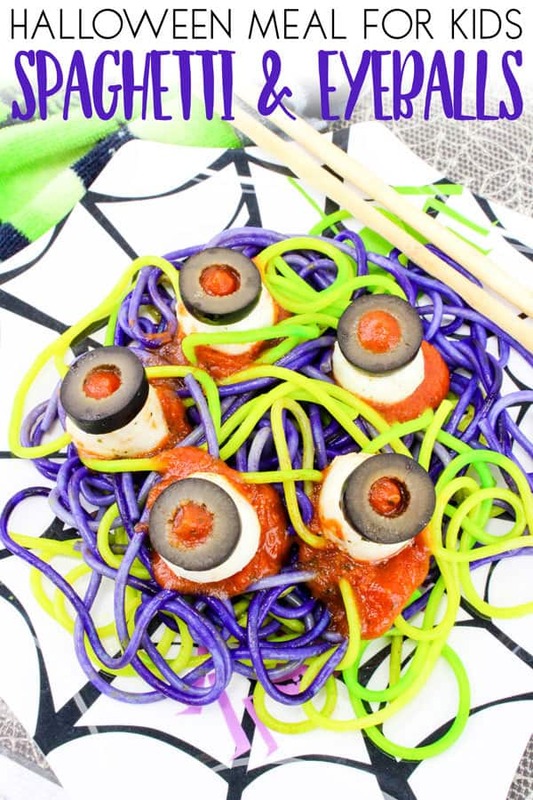 The kids will love the coloured spaghetti and it sure is fun to eat! 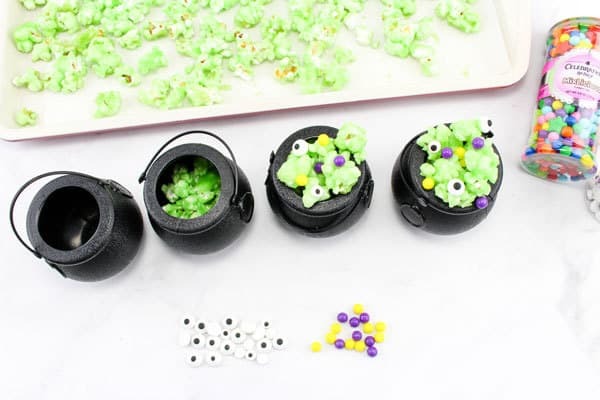 These Witches Cauldron cakes would be perfect to serve with the Halloween Popcorn Cauldrons especially for those that have a sweeter tooth. 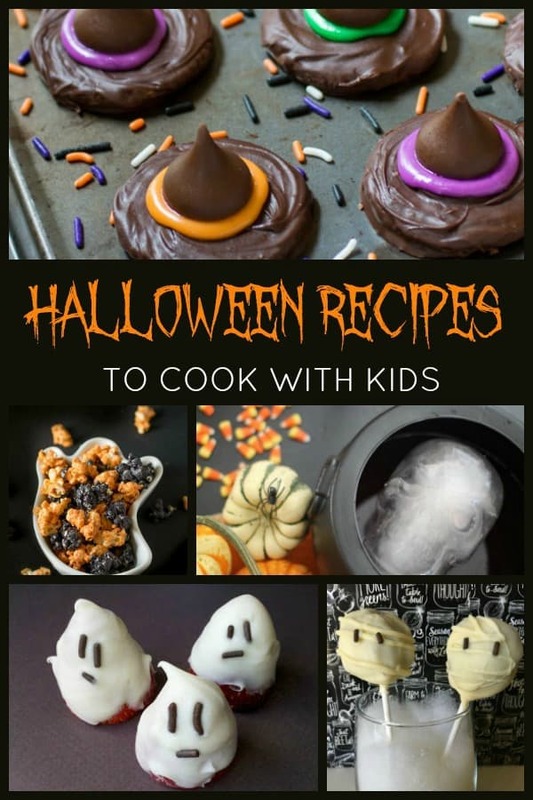 Find even more inspiration of treats and meals to cook with kids this Halloween with our Easy Halloween Recipes for Kids to Cook.